DEAR DR. ROACH: I have had back pain on and off for years. It does seem to get worse when I am under stress at work. My doctor took blood tests and X-rays, and can't find anything wrong. He hasn't said so, but I think he doesn't believe that I have real pain and thinks it's all in my head. What should I do? - N.D.
ANSWER: Yours is a not-uncommon problem. Most cases of back pain do not have a clear diagnosis after diagnostic testing. Many patients are convinced that the problem must be findable, so they want to get a CT scan or an MRI to prove that there is something wrong. However, even these tests often show no significant problems. Does that mean the pain isn't real? Of course not. Subtle injuries and degenerative changes in the bones, muscles, ligaments and other structures certainly can be the cause of pain and also not show up in testing. However, as you have suggested, mental stress can make any kind of pain worse, but that seems especially true for back pain. There are physical and psychological reasons for this increase in pain. One physical reason is that less and poor-quality sleep during times of stress can make back symptoms worse. Depression, anxiety and some personality issues are associated with higher risk of back pain. In my experience, the most effective long-term treatment for chronic back pain, after a thorough workup has been done to exclude those few cases of back pain that require surgery, is regular physical activity. For many people, a physical therapist can be invaluable in helping design a course of activity that can keep the pain at a bearable level and allow them to continue leading their lives. 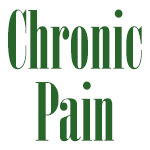 Medication should be kept to the lowest amount that gives acceptable pain relief. READERS: The booklet on asthma and its control explains this illness in detail. Readers can obtain a copy by writing: Dr. Donohue - No. 602, Box 536475, Orlando, fl32853-6475. Enclose a check or money order (no cash) for $4.75 U.S./$6 Can. with the recipient's printed name and address. Please allow four weeks for delivery.